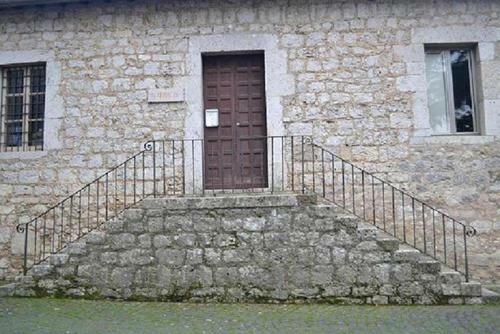 […] The same monks have run, for a long time (-ab immemorabili-) , a pharmacy with fresh medicines used by the nearest castles1. 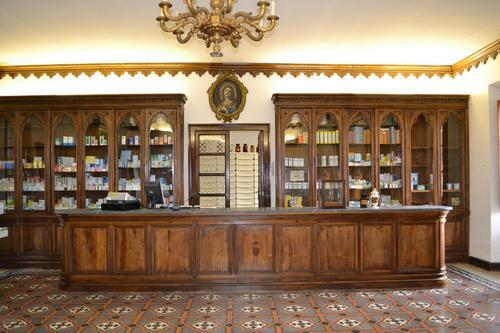 […] The Casamari's Pharmacy was built in 1760, thanks to the Prior D. Gioacchino Castiati.2. 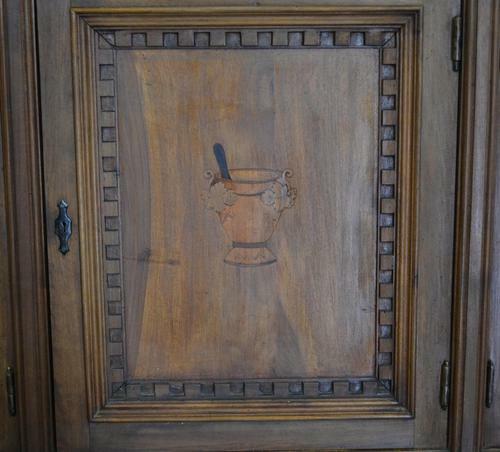 This old pharmacy can be found in the Casamari Abbey in Veroli, where only the “monachus infirmarius” had the task of preparing medicines. 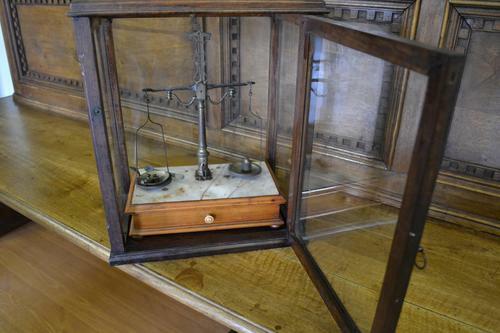 With the passing of the time, the pharmacy took the same importance of other famous pharmacies like Montecassino, Camaldoli and Trisulti. The pharmacy was rebuilt thanks to the Abbot Pirelli in 1820, but in 1945 it was destroyed3 . 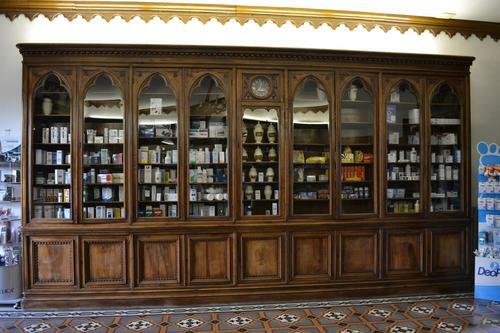 The present pharmacy, inaugurated in 1948, is still working and is located at the monastery’s entrance4. 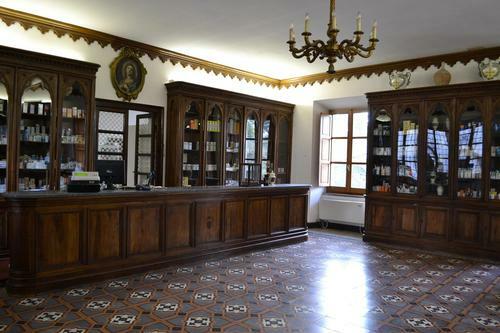 It is divided in two rooms: the first one, used for the medicines’ sale, is bright and large (about 7x7 m.); the glass shelves which cover the walls, in Gothic style, were made by Tuscan artisans. The ceiling isn’t decorated and from the center, hangs a chandelier with lots of lights. 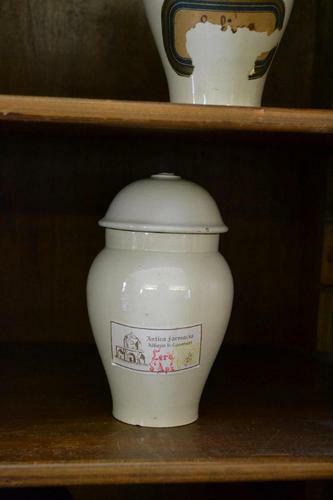 A long counter, located on one side is used for medicines’ delivery. In the background a door gives access to the lab itself, rather small but bright, with the characteristics of a modern laboratory. However the latter is now used as a warehouse. The entrance to the pharmacy. 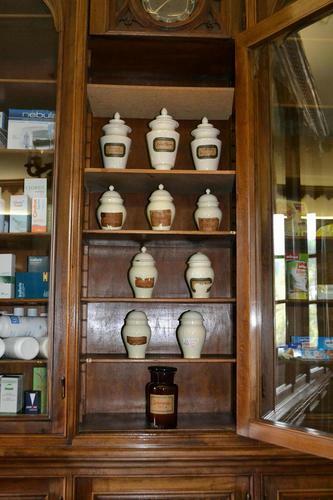 The interior of the pharmacy: as you can see, there are lots of precious and rare things like an old balance and many glass shelves with rare vases which in the past were used to contain medicines and spices. 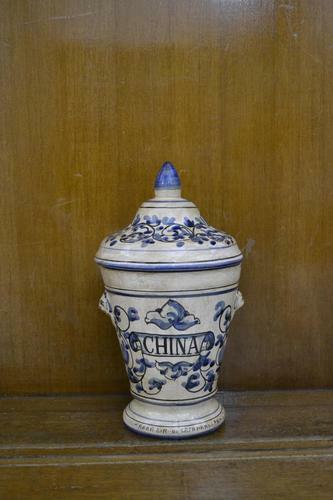 A rare vase for "China" (Smilax China Linn.) 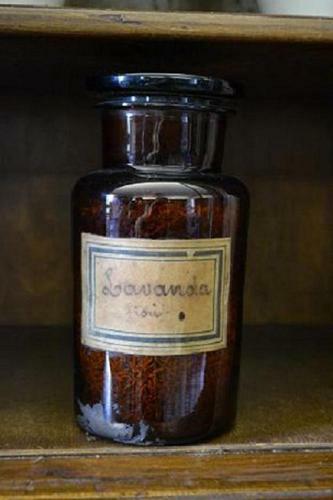 a sweet root for rheumatic pain. 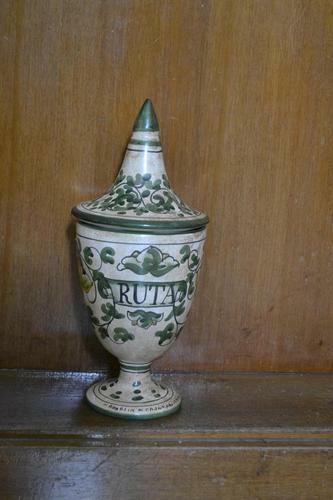 A rare vase for "Ruta" used as an antihysteric treatement. 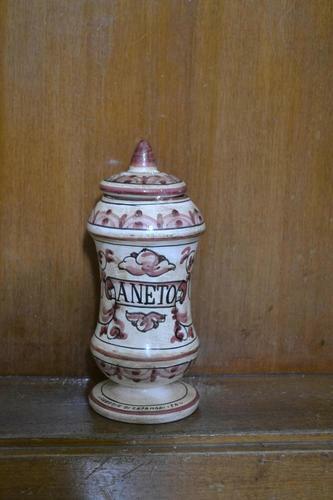 Vase for "Aneto" a herbaceous plant used for digestion problems. 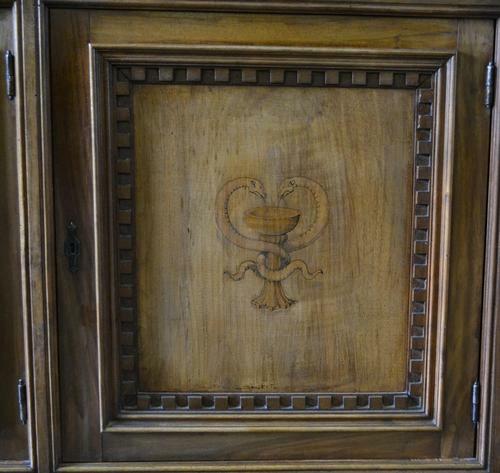 Two wonderful pictures carved on the panels of the shelves representing a mortar and the snake of Asclepius, the symbol of medicine. 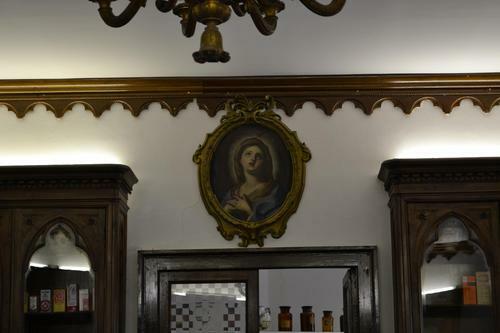 On the wall behind the long counter, a beautiful painting on canvas of 1820, portraying “La Pietà”.